The Paulsons use a variety of fixed (glued-in) space maintainers to preserve your child’s arch integrity and space. Included in their armamentarium are space maintainers that can be fabricated and cemented the same day of the extraction and other bi-lateral (two-sided) spacers that are custom-made for each patient in their dental lab. 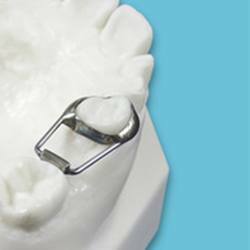 Band and loop space maintainers are used to preserve the space due to early loss/extraction of a primary molar tooth (most commonly a first primary molar). Band-and-loops can be used in the upper and lower arches. 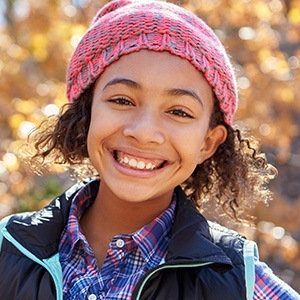 When replacing the space for a primary first molar, the band-and-loop can usually be removed around the age of 7-8 after your child’s 6-year molars are in occlusion. The Paulsons can fabricate a band-and-loop and cement the appliance during the same appointment as the extraction. Sometimes, a more precise fit may require a specially made band-and-loop in our dental lab. Lower lingual holding arches are used to maintain arch length at the lower permanent molars when a primary molar(s) has been lost/extracted prematurely. 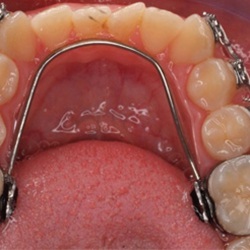 LLHA’s are preferred over band-and-loop space maintainers when a patient requires space maintenance for the early loss of neighboring primary molars, bilateral primary molars, or for the early loss of a second primary molar when its replacement will not come in prior to the loss of the spacer’s anterior abutment. 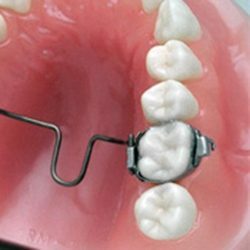 Lower lingual holding arches can also be used in orthodontics for “anchorage” mainly to preserve the “E space” by preventing the mesial migration of the 6-year molars after the loss of the second primary molar (10-12 years). The TPA serves the same functions in the upper arch as the LLHA serves in the lower arch. These appliances are mostly used in patients with significant amount of tooth loss from tooth decay. Malocclusions brought about by lack of space maintenance have been shown to significantly decrease quality of life and can often be prevented. These appliances are highly recommended after the early loss of primary molar teeth. The placement of a distal shoe space maintainer is one of the most difficult procedures in pediatric dentistry. They are required after the early extraction of a second primary molar (usually before the age of 7). The second molar is the most important primary tooth in the mouth because it maintains the space and arch integrity when the permanent 6-year molar erupts. Early loss of this tooth without space maintenance results in permanent tooth crowding, impaction of premolar teeth, potential for periodontal problems, and an unstable posterior occlusion. Distal shoes are cemented to the first primary molar and run back and underneath the patient’s gingiva into the patient’s alveolus (bone) in front of the erupting permanent tooth. These procedures are often difficult because they occur after the extraction of the largest tooth in the patient’s mouth. Also, these patients are usually under the age of 6 and without the coping skills to handle such procedures. The Paulsons do everything they can to save second molars in order to preserve arch integrity, at least until the patient’s 6-year molar has erupted.